Working with medium- to large-scale prints, quilters can create dynamic pieced blocks without hours of planning and precision cutting. The kaleidoscope effects occur spontaneously, thanks to the ingeniously simple 'Stack-n-Whack' cutting technique. By stacking identical repeats of fabric, quilters can efficiently cut the pieces needed for all the blocks. 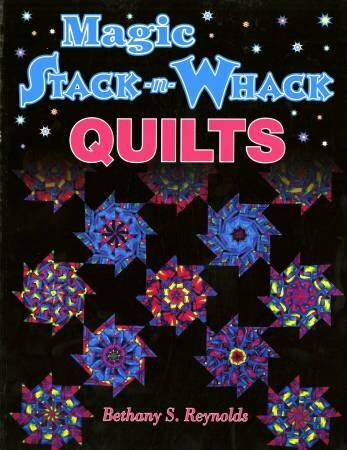 Each block will be unique and unexpected, keeping the quilting experience fresh and exciting! With over 200 how-to illustrations and dozens of color plates. Designs include the classic LeMoyne Star, Hybrid Lilies, Kaleidoscope Pinwheel, Hexagon Star, Diamond Ring, Morning Star, and others, all pieced with construction methods that eliminate set-in seams and ensure quick, successful results.